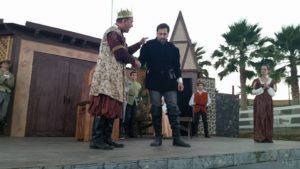 Acting, Writing & Teaching – Page 7 – "Shakespeare’s Book of Wisdom" Is Now Available! See you soon at Baily Winery! The show I’m in this summer is set to open–and it’s a biggie. 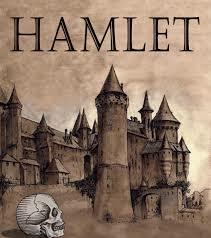 To see or not to see Hamlet — that is the question. Luckily, the answer is easy: TO SEE! In fact, if you can only watch one Shakespeare play in your lie, that play should be Hamlet. And if you can only watch five Shakespeare plays in your life, I recommend watching Hamlet five times. But I’m funny that way. 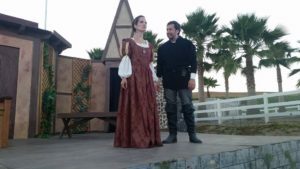 In any case, I hope you can attend one of the 11 performances of Shakespeare in the Vines’ production of The Tragedy of Hamlet, Prince of Denmark, at Baily Winery in Temecula. 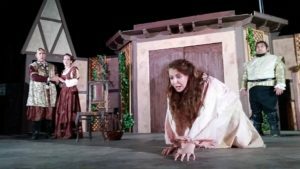 The play opens July 14 and runs through July 30. The director is the br illiant and lovely Wendi Johnson. The talented Michael Guccione takes on the role of the Melancholy Dane. I’m doing a two-for-one as King Claudius and his murdered brother, aka Ghost Hamlet. 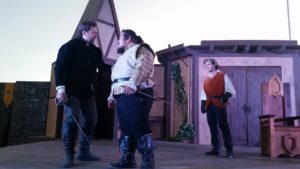 For information or updates, feel free to visit shakespeareinthevines.com. On behalf of William Shakespeare, I’d like to wish everyone a Happy Fourth of July! 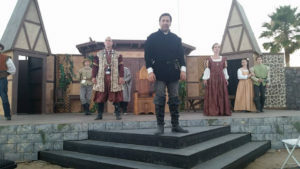 Seriously, though, Shakespeare and the United States of America have had a long, fruitful history, a point I make in my one-man play Red, White & Bard! (Coming soon to a theater or school or outhouse near you.) In fact, I’d argue that Shakespeare means as much to the US as he does to the UK. The Bard made his debut in the New World in 1730, in a New York production of Romeo and Juliet. Since then, he’s been performed on battlefields during the Civil War and in Hollywood studios; in San Quentin prison and the White House; in opulent theaters on the East Coast and on makeshift stages in hotels, high schools, bars, and churches across the continent. He’s been the muse of George Washington, Jefferson, Lincoln, Twain, Poe, Emerson, Cather, Brando, Pacino, Spacey, etc, etc. 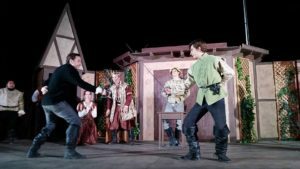 There are 10 or so annual Shakespeare festivals in the UK. Ten. In the US, there are 130. The project to rebuild Shakespeare’s Globe theater was initiated and spearheaded by American actor, director, and producer Sam Wanamaker after visiting London in 1949. It was finally opened in 1997. There are seven other Globe replicas in the U.S. as well as the most comprehensive Shakespeare research center the Folger Library in D.C. The UK has 45 original copies of the priceless First Folio, a rare, early edition of all the plays, which is more than anywhere else in the world—except for the US, which has 146 This makes sense, since these days, most Shakespeare scholars and devotees aren’t in London or Stratford-upon-Avon. They’re in Los Angeles, New York, Washington, D.C., and right here in Temecula, CA. Frederick Douglass, the former slave from Maryland who led the fight for equal rights for African-Americans during the Civil War, was a huge Shakespeare fan. Toward the end of his life, Douglass used to participate in readings at the Uniontown Shakespeare Club in Washington, D.C. His favorite role to perform was Shylock the Jew from the Merchant of Venice. 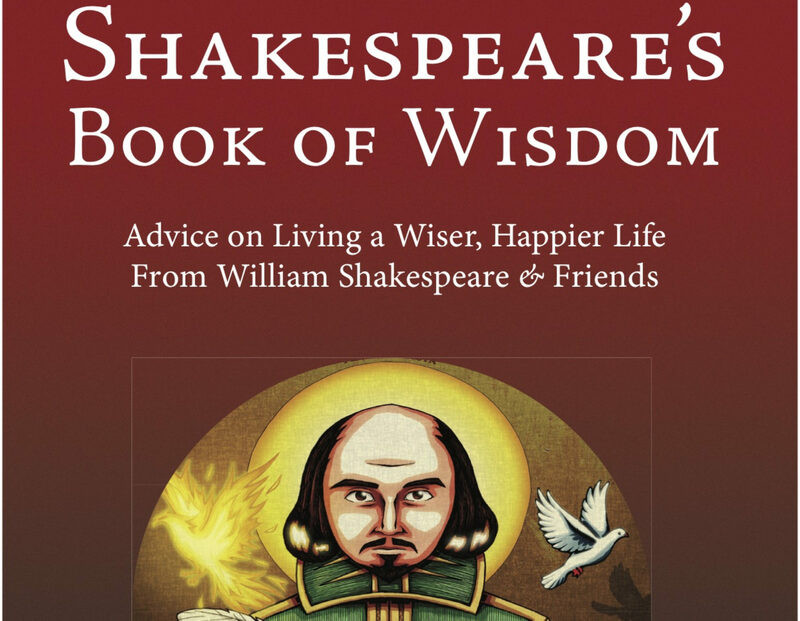 Even the (wrong-headed) idea that the works of Shakespeare weren’t written by Shakespeare but by someone who was smarter, richer and better-looking than the man from Stratford originated in America. Delia Bacon from Tallmadge, Ohio, argued in a bizarre, 700-page book published in 1857 that the plays were written by an all-star literary committee headed by her distant relative Francis Bacon. That lovely BBC British accent in which our favorite English actors (Patrick Stewart, McKellen, Cumberbatch, Hiddleston, etc.) 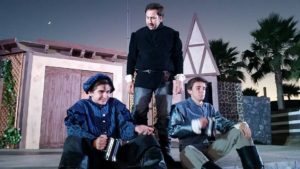 perform the plays is not how William Shakespeare actually spoke. We now know that the English of Elizabethan times was faster, earthier, more informal, more—for lack of a better word—American. The Bard was woven into the very fabric of America—he’s in our national DNA. Presidents Adams and Jefferson adored him. George Washington left the Constitutional Convention on July 14, 1787 to catch a production of The Tempest. Abraham Lincoln used to recite speeches from Richard III and Hamlet as he sat for portraits. His favorite play was Macbeth. The Gettysburg Address is written in iambic pentameter. John Wilkes Booth, who assassinated Lincoln on April 15, 1865, was one of the most accomplished Shakespearean actors of his time. Finally, the Bard’s last play—The Tempest—was inspired by the report of a hurricane that struck an English fleet sailing for Jamestown in 1609. So in the midst of celebrating our amazing country today, thanks for taking a moment to join me in remembering America’s adopted son and honorary national poet Mr. William Shakespeare!